After Baja I went to LA to visit friends. (California seduces me with the weather but I don’t think I could cope with the traffic.) 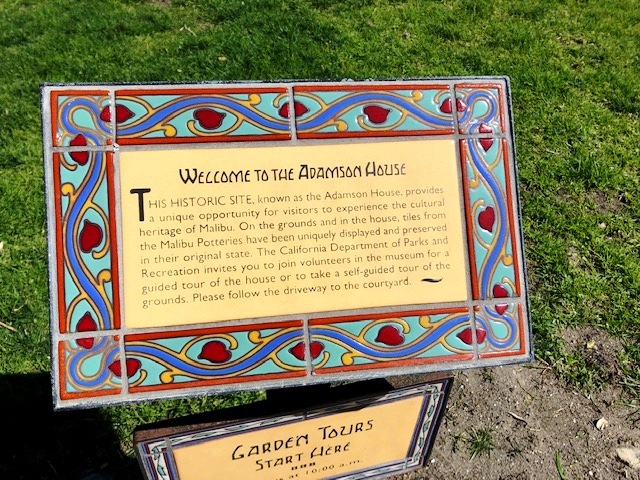 One day we drove to Malibu to tour the historic Adamson House—a wow especially as it’s not always open. At one point, the Rindge family owned pretty much all of present day Malibu, buying the property in 1892 for roughly $10 an acre. (Thirty years later, it became the most valuable single real estate holding in the United States—think 20 miles of coastland.) When she was widowed, May Rindge, a woman with more than her share of moxie, found herself land-rich and cash-poor so she looked for oil on the property. 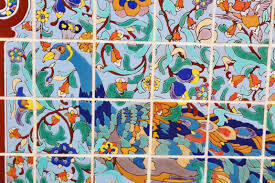 Instead she found buff and red clay and voila: the creation of Malibu Potteries, a short-lived but influential tile company that produced authentic versions of Mayan, Moorish, Moroccan, Saracen, and Persian- design tile. 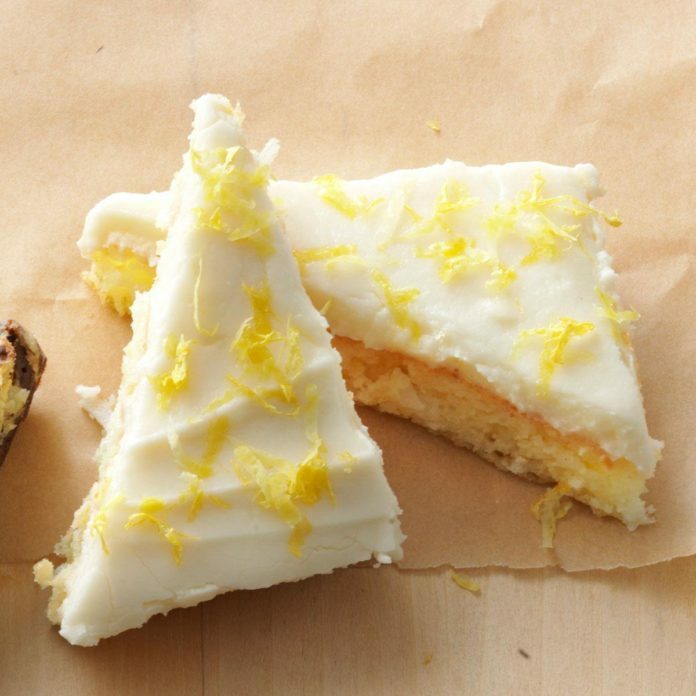 This recipe showcases lemons, one of the quintessential Californian fruits. 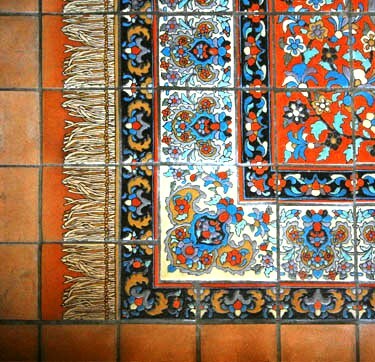 It’s easy, makes 4 dozen pieces AND you cut it into bars which are sort of like tiles, right? Preheat oven to 350°. In a large bowl, mix cake mix, pie filling and coconut until blended; spread into a greased 15 x 10 x1-in. baking pan. You could drink a good California wine with whatever preceded the lemon bars or slosh lemon juice into your iced tea. Whistle California Here I Come as you pass the bars. Enjoy not being stuck in traffic. 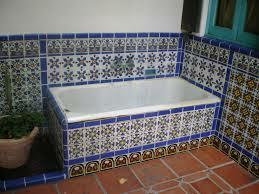 This entry was posted in Uncategorized and tagged bathroom, lemons, tile. Bookmark the permalink.